Of course I had to bust out Purple Rain by Glitzology! I barely used it the last time. 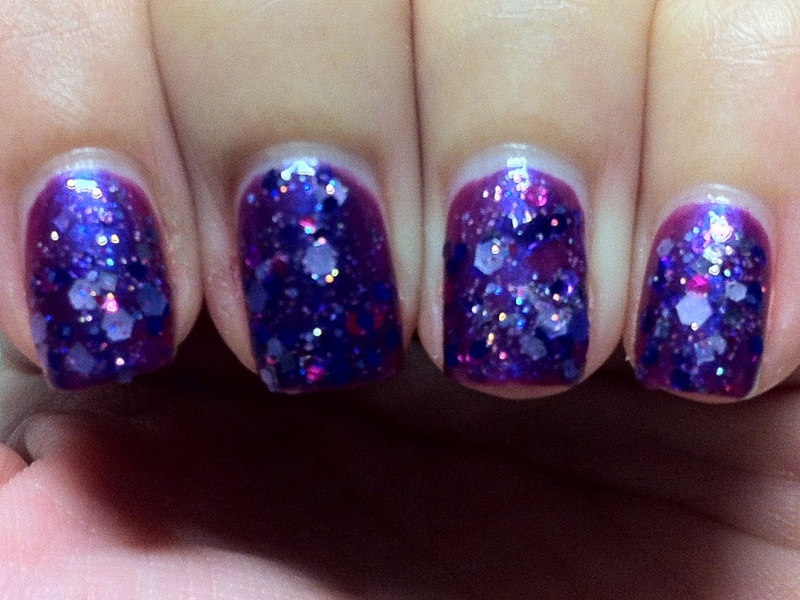 Purple Rain features glitters in many shades of purple. There are squares, hexes and shreds from lilac to dark purple. I just found out hoe the ‘dabbing’ method of glitter application was through a youtube video the other day and decided to give it a go. Dabbing method = crazy amounts of glitter on my nails! 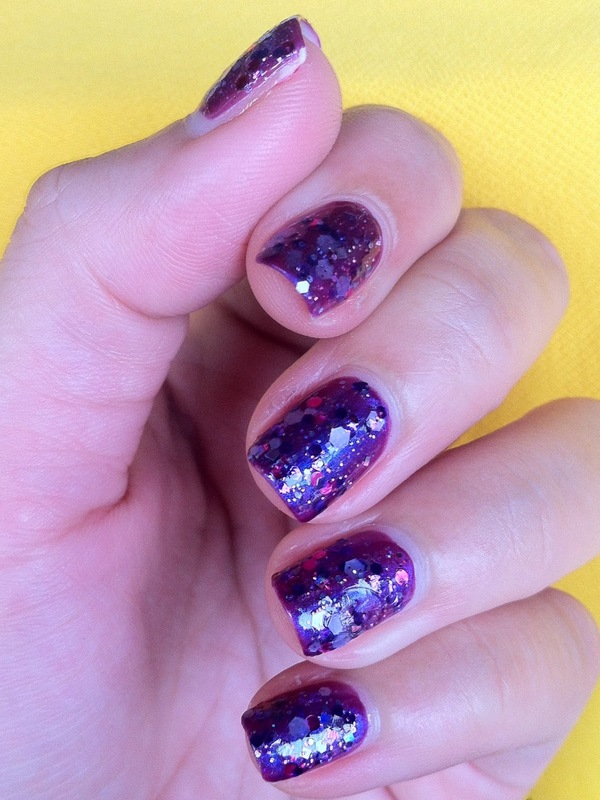 I layered Purple Rain over Sally Hansen Purple Potion. Hence the blue flash/duochrome-iness in the photos. 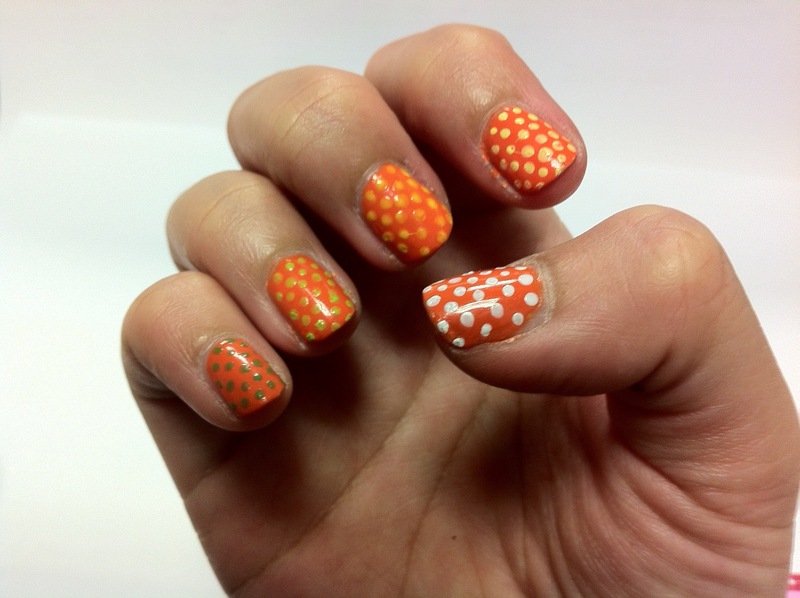 I loved my orange manicure but I thought it could use a little pick me up. In my mind I was thinking to do some stamping, preferably with greens and yellows. But after 10 minutes of trying to get a decent transfer from the stamping plate I gave up and resorted to dotting instead. 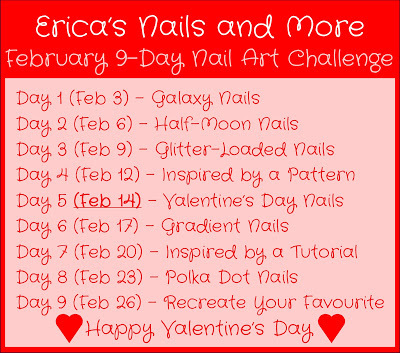 Since I already taken out a few polishes for stamping I decided to use all of them! and the best way I could think of was to do some gradients. I tried my very best to keep them in line but as soon as I started on the second colour the lines were already tilted. But I still *love* how it all turned out. It made my fingernails seem longer than they actually are! 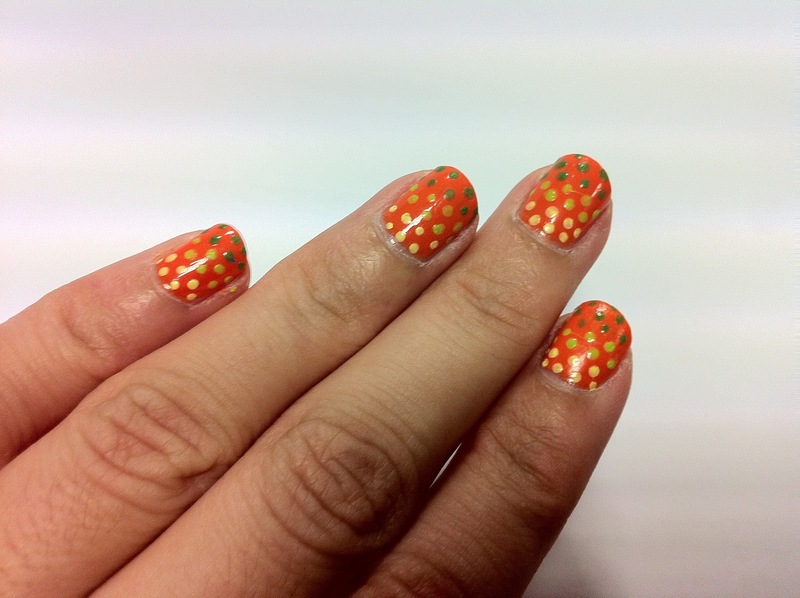 I did not use a top coat over the polka dots in these photos because I liked how the dots created little bumps on my nails. 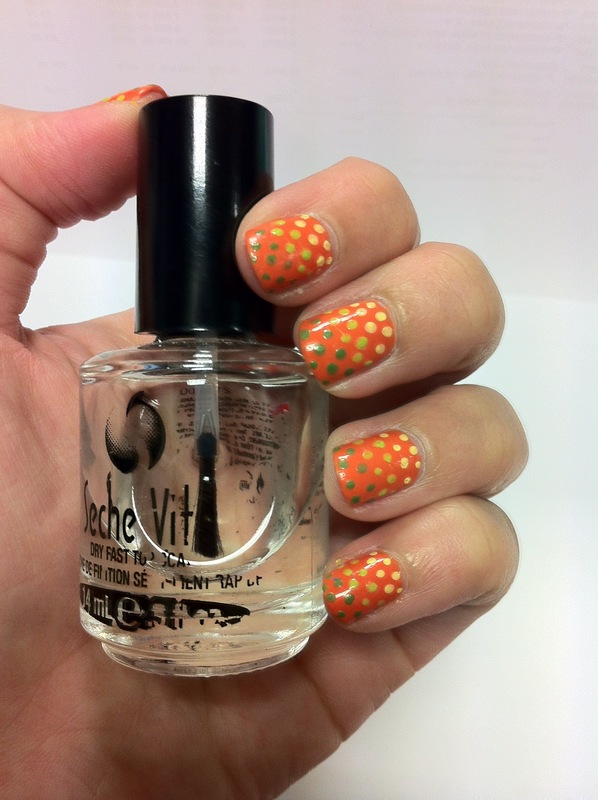 My poor bottle of Seche Vite is starting to lose it’s label! On my right hand i decided to do a different sort of gradient. Instead of having it all on one nail I did the gradient across my fingers. I was a little disappointed with my middle finger. The yellow did not pop as much as the others and somewhat ‘melted’ into the base colour. Here is a photo of my right hand. 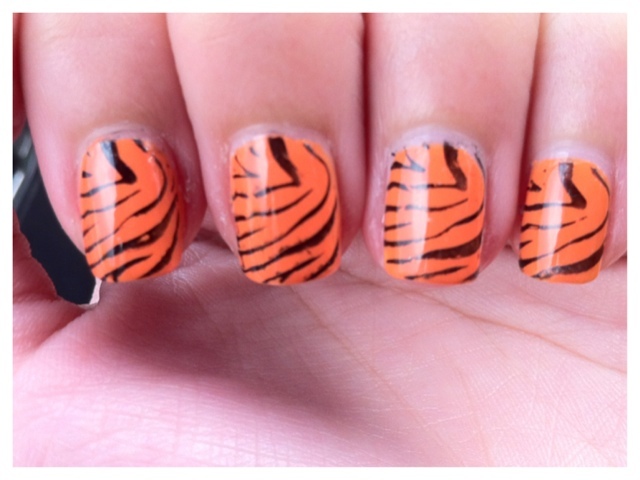 Do excuse the awkward pose and the dry cuticles. The colours I used for the polka dots.